I looked at my son’s sign language tutor, Hannah, whose eyes were glistening with tears as we watched my six-year-old nonverbal son press his stomach onto the swing in our living room. Anyone who knows Hannah knows her passion for sign language. 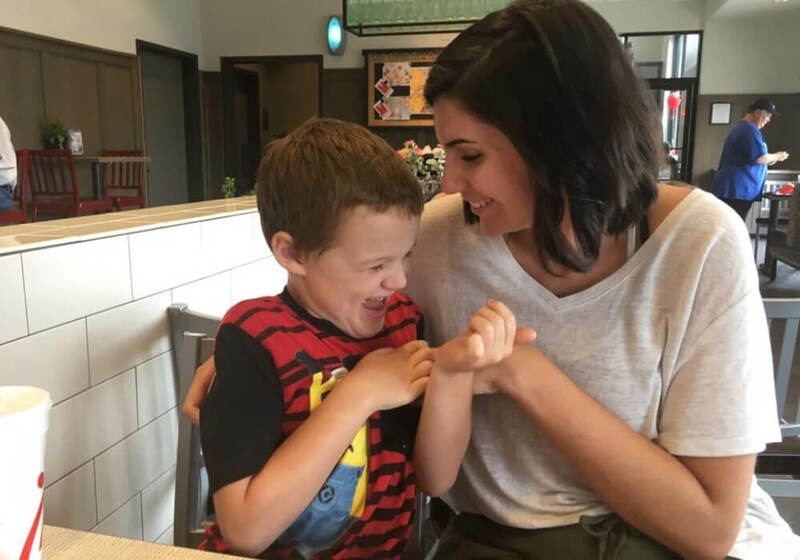 We’d hired her to teach our nonverbal autistic son how to sign, but he wasn’t getting it. He was defaulting to signing “more” and “please” for everything, refusing to learn new signs when introduced. Furthermore, his fine motor skills appeared so weak that he seemed incapable of configuring his fingers to sign words that required more hand precision. He’d been stuck for months, unable to learn new signs—despite Hannah’s best efforts and our best efforts at home. I’m still not sure, nearly one year later, if his struggles stemmed from fine motor difficulties or from stubbornness. I’d suspected for a couple of months that sign language was not going to be the best method of communication for Milo, but our fondness for Hannah made me want to keep trying to make it work. When I first met Hannah, she was a college junior studying speech-language pathology at a local university. I’d emailed the speech-language pathology department looking for volunteers in a home-based play therapy program. 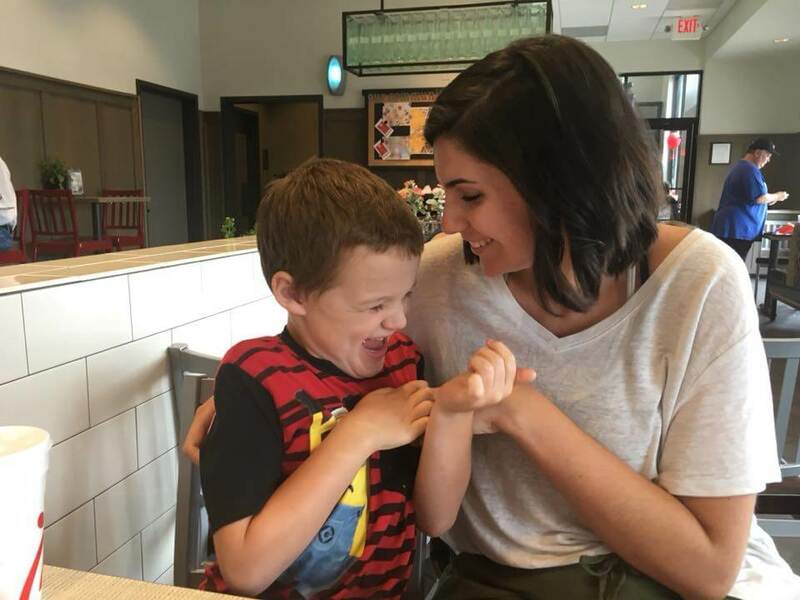 Though we ultimately discontinued that particular home program, we excitedly offered Hannah, a standout among our large group of college-aged volunteers, a part-time job tutoring Milo in sign language. She agreed! 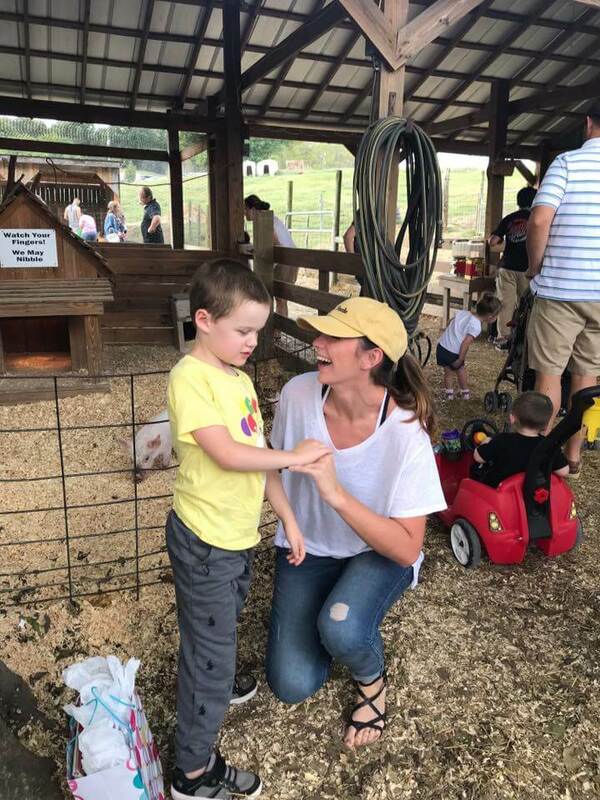 From there, a relationship was born—she babysat, allowing us to enjoy date nights again; she accompanied us to the pumpkin patch on Milo’s birthday (We weren’t paying her to come along as his aide—she just wanted to be there to celebrate him! ); she developed a relationship with my typically developing son, Linus, making sure that he felt special and loved as well. And, of course, she tutored Milo in sign language. I felt terrible even bringing up the subject of Milo’s difficulties; after all, this was a resume builder for her. I felt guilty asking her to do something else. Fortunately, I never had to ask. She brought up the topic. In all my years of talking with professionals, no one had ever treated me—treated Milo—with such humanity. If a program wasn’t working, it was always my fault. I wasn’t trying hard enough at home. I wasn’t following through with a program. I wasn’t paying for enough therapy hours to guarantee progress. It didn’t matter if I was paying for the maximum amount of therapy our budget could handle. It didn’t matter if I stayed up past midnight most nights, laminating picture schedules and writing out plans for Milo’s success. It didn’t matter if I was depressed, exhausted, and confused. If something wasn’t working, it was always on me. The therapist always blames Mom. Hannah never blamed me for Milo’s lack of success. She believed that I was doing my best. When Milo wasn’t making progress, instead of blaming me, she cried with me. At twenty-two years old, she understood that love and respect were the most important ingredients in working with a special needs family. Special needs parents don’t care about a therapist’s degrees and certifications. We care about whether a therapist loves our child and whether they view our family as human. Hannah always spoke to us like we were real people, not clients on a spreadsheet. Maybe that was because she was a college student at the time. Or maybe it was because she really loved us and taught us to believe in ourselves again. I believe it was the latter. Heather is a coffee-loving mom of two boys: Milo, age seven, and Linus, age five. Milo has nonverbal autism. She shares her thoughts on autism and homeschooling via YouTube and Instagram.